Dr. Adam Bletsoe is a Wellness Expert, Doctor of Chiropractic and a Corporate Health Consultant with over 10 years of experience. He is dedicated to inspiring and empowering individuals and groups to create optimal health and to live the life of their dreams. These are just some of the things people are saying about my Mindfulness Meditation workshop. 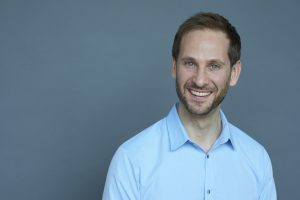 Dr. Adam practices using a mind-body and mindfulness-based approach to his in clinic care. Hands on techniques, mind-training, stress relief and functional neurological practices make up his bag of tools. The best partner in any healing journey is an active, ready and engaged patient. Being that we heal at the speed that our life can handle, being a team is the only way. Mind-Body Chiropractic: A mindful whole-body approach to the Chiropractic management. Childhood Motor and Sensory management: Primitive and Developmental Reflex therapy to assist childhood motor and sensory development and its influence on stability, balance, mental/emotional integration and internal organ function. Book your appointment now online. 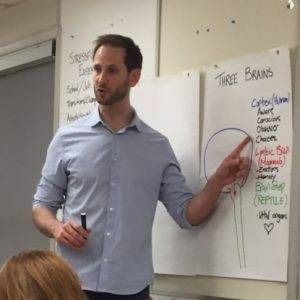 Dr. Adam will connect easy-to-access brain science, life events and stress to the skills of mindfulness, self-regulation, emotional and mental health, learning, social relationships, memory, self-care and sleep. Dr. Bletsoe is a Wellness Expert, Doctor of Chiropractic and a Corporate Health Consultant with over 10 years of experience. He is dedicated to inspiring and empowering individuals and groups to create optimal health and to live the life of their dreams.